Intellectual Properties Enterprises, Inc. is an innovative publishing company specializing in patent law education. 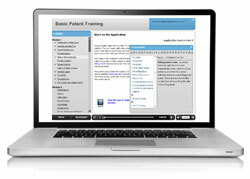 We were founded in 2001 when we launched our first product; the PES-System Review Course for the Patent Bar Exam. Since then, we have broadened our reach to include reference materials and career enhancement for Patent Agents and Patent Attorneys alike. Our products and the free information on our website has helped thousands of individuals pass the Patent Bar exam and gain entry into the field of Patent Law.